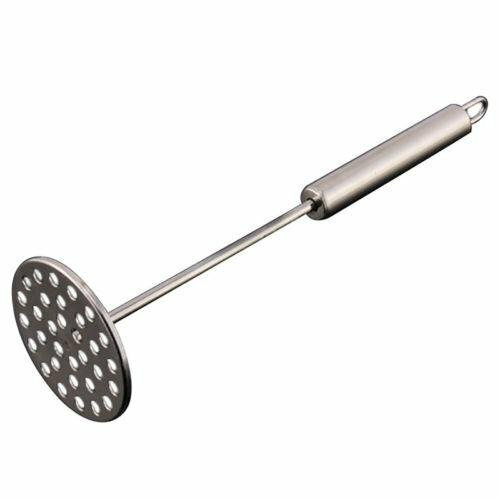 Stainless Steel Potato Ricer and Masher Convenient,safe, easy cleaning by PONML at Kerinci. MPN: 272810455875. Hurry! Limited time offer. Offer valid only while supplies last. Mashing boiled food becomes much easier. Suitable for potato, yam, pumpkin and tomato. Fashion design and high quality. Very useful kitchen tool. Mashing boiled food becomes much easier. Suitable for potato, yam, pumpkin and tomato. Fashion design and high quality. Very useful kitchen tool. Convenient and easy to make potato mud. Convenient to mash potato, fruit, vegetable, salad, Easy to use and clean. If you have any questions about this product by PONML, contact us by completing and submitting the form below. If you are looking for a specif part number, please include it with your message.